An Introduction To Crime With Planet Coaster | Nerd Much? PAX East has brought us yet another update, this time on Planet Coaster. Turns out Frontier Developments has been working on fairly fancy new features for their game, and it is entirely free. 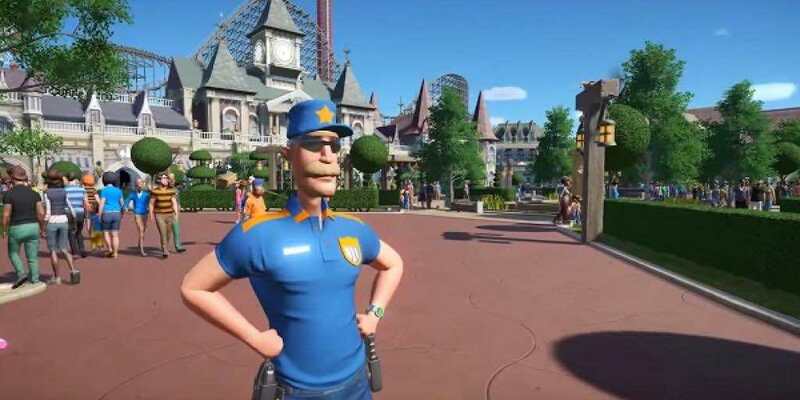 Come April 11th of this year, crime in the form of pickpockets and vandals will be introduced into your parks, in addition to some awesome new rides like go-karts. With crime will come those who enforce the law, as Frontier is providing cameras and security guards to help keep your park untarnished by graffiti and your customers safe from thieves. Steel Hydra – Feel the G-force aboard Planet Coaster’s first suspended swinging coaster. Trident – Go there and back again with the first of Planet Coaster’s two new shuttle coasters. Bakasura – Trident’s bigger, badder brother is a thrilling inverted boomerang coaster. ‘Speed’ Go Karts – Design your own karting tracks using Planet Coaster’s powerful track editor and see your guests put pedal to the metal! Who will win and who will spin? Elixir Machine – 360 degrees of spinning, swinging, twisting, upside-down insanity. Big Wheel – An iconic favorite from the golden age of theme parks. ZoZo – The long-armed ZoZo is another addition to Planet Coaster’s lineup of vintage classics. The favorite are the go-karts of course, reminiscent of Mario Kart only with all the customizing options Planet Coaster provides. Are you happy with these upcoming changes? Will a pickpocket cramp your style? Let us know in the comments below!